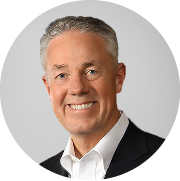 Before joining Frazier Healthcare, from 2004 to 2009, Grotting served as chief executive officer of medical device reprocessor Ascent Healthcare Solutions, which was acquired by Stryker Corporation in 2009. Ascent and Grotting were recognized as “Innovator of the Year” at the 2010 private equity Healthcare Innovation Conference. Grotting earned a master’s degree in hospital and health care management from the University of Minnesota and a bachelor’s degree in economics from St. Olaf College in Northfield, MN.